Skin ulcers in cats are just as dangerous as skin bumps, as they can very rapidly transcend from draining, crusty, or oozing lesions into ulcers. Once this occurs, it opens the door wide open for even more infections to occur. In fully understanding exactly what causes these ulcers, it helps to understand exactly what they are and the difference between them and bumps. WHAT ARE SKIN ULCERS IN CATS ? Skin ulcers are in most every case the result of some type of a skin problem that has opened, started to drain, and then developed a crusty surface. When ulcers do develop, it means that your cats surface layers of their skin are compromised almost entirely and the defects now go deep into the skin. Skin ulcers in your cat will than require very careful wound care to prevent infections from occurring, but this will be very difficult in most cases. The major reason for this is that skin ulcers heal very slowly, if at all. Skin ulcers basically involves the loss of the upper portion of your cats skin referred to as the epidermis, as well as the lower portion, called the dermis. They can be the result of an acute condition such as some type of a bacterial infection, as well as some type of trauma that has occurred to your cat. However, it may also be the result of a chronic condition that will involve your cat’s peripheral veins and arteries. Erosion's are different than ulcers, as they a lot shallower, and only affect the upper levels of the skin. They can be just as painful as ulcers, but in most cases they heal much faster. Scaling and crusting are the precursors of ulcers unless it is a trauma, so it is also helpful to understand what they are as well. Scaling is a condition where there is a dry, horny buildup of dead skin cells on your cats skin surface that usually starts to flake. Crusting is a collection of dried blood, serum, or pus that is also referred to as a scab, and is a normal part of the healing process unless it develops into a skin ulcer. Skin ulcers in cats can be extremely dangerous and have several potential causes. The list below is by no means all conclusive, but is the most common causes of possible development of ulcers. Abscesses are the accumulation of pus that may or may not be the result of an infection. In cats, the most common cause is from bite wounds from another cat. They will appear as firm, fluid filled nodules that vary is shape as well as size and will usually have small crusty areas at the actual puncture site. To prevent it from developing into an ulcer, it will have to be surgically opened and drained. If it becomes infected, it has a very good chance of turning into a skin ulcer, and can cause a very high fever in your cat. The next potential cause of skin ulcers in cats is from a condition referred to as Eosinophilic granuloma. This is part of the common eosinophilic allergy syndrome in cats that is very dangerous. This includes eosinophilic plaques, Miliary dermatitis, as well as rodent ulcers. This form is elongated and raised lesions that start oozing and can quickly become ulcerated. They can become ulcerated as the result of hair loss and can develop as singular or multiple forms and they most often attack the back legs of your cat. Finding the actual underlying cause of this condition is paramount, and it is usually the result of parasites, food allergies, or atopy. Once the underlying cause is identified, it is usually treated with fatty acid supplements unless it is severe and has become ulcerated. If this is the case it is than treated with immunosuppressive drugs. 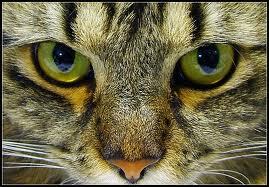 Most owners would never associate this condition as a potential cause of skin ulcers in cats. However, some cats can have such severe reactions that the hot spots will quickly become skin ulcers. It is obviously the result by your cat reacting to the saliva of the flea itself, not the actual bite. It can cause hair loss, crusting and then scaling skin, which than leads to infections or hot spots. It is in this stage that your cat will basically attack itself so severely that it not only penetrates the upper layer of skin, but also the deep layer as well. Once this occurs, steroids and antihistamines will have to be used. The next potential cause of skin ulcers in cats is from Miliary dermatitis, which is also part of the eosinophilic allergy syndrome. However, with this condition, it can be the result of infections, an autoimmune disease, hormonal disorders, or even nutritional deficiencies. Multiple small crusty lumps may develop, but in this case it has a much broader reach than just your cat’s back legs. With this condition it can affect your cat’s hips, neck, as well as their thighs. It is treated in the same way as Eosinophilic granuloma. Pyoderma-deep is another potential cause of skin ulcers in cats and is the result of bacterial infections of the skin as well as the underlying tissues. It is most often the result of your cat self-inflicting trauma wounds, lick granulomas, allergies, or seborrhea. It can cause ulcerated pustules or nodules to develop, as well as draining tracts, crusts, and thickened skin. All of these can very easily develop into full fledged skin ulcers if not treated. The most effective mode of treatment is by clipping and cleaning the affected area, using antibiotics, and then preventing the self-trauma by a halo. If your veterinarian recommends steroids for this condition, get a second or even a third opinion. Steroids are extremely dangerous with this condition and should never be used. The next potential cause is from ring worms. This is an infection that is caused by several types of fungus that can attack your cat, and can cause hair loss, scaling, as well as crusting. With all of this comes the potential for severe itching, with can lead to skin ulcers. There is a ring worm vaccine available, but if it is not used or has not been effective, the only way to effectively treat it is with lime sulfur or other similar dips. This potential cause of skin ulcers in cats is also part of the eosinophilic allergy syndrome, but is much different in that it will attack the upper lip of your cat. These ulcers can become extremely deep in nature, and as a result, can be extremely painful and very difficult to treat. Antibiotics can be successful, but in most cases they are not. Some owners may never consider the use of steroids in their cat, but in this case, it is usually the only option in attempting to heal this very deep penetrating ulcer. This potential cause of skin ulcers in cats will stop most owners dead in their tracks, as it is also the leading cause of mouth cancer in cats. If this case, it is usually the result of over exposure to sunlight that damages the skin and produces this potentially deadly situation. It will come in two forms with skin ulcers; cauliflower like lesions, or crusted ulcers. The cauliflower lesions are usually found on your cats ears, while the crusty ulcers are found on their head or their feet around the claws. They will have to be surgically removed and then usually followed up radiation treatments. Skin ulcers in cats are extremely dangerous and can be life threatening to your pet. They are very painful and extremely difficult to heal. Understanding what can cause them and identifying them as early as you can, may save your cat a lot of pain as well as their life.